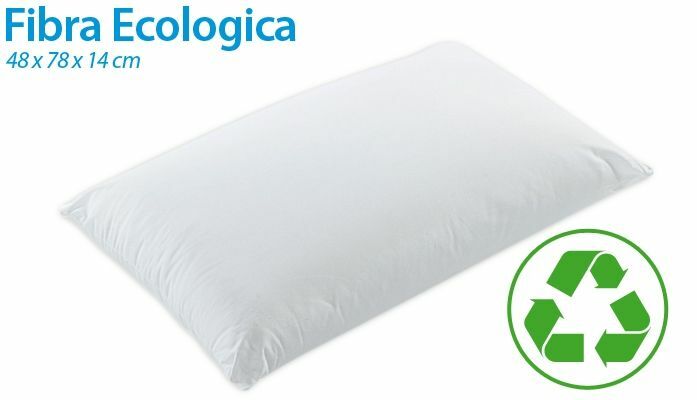 This pillow is filled with polyester fiber lap (PET). It is hypoallergenic and not bleached, carded and layered.Obtained by the intelligent recycle of bottles coming from the differentiated harvesting.Also the cover has a part in eco-recycled polyester. The support is soft and comfortable for standard requirements. It is suitable for those who sleep on their back , or on their side.